New construction has some unique advantages, allowing an architect a clean slate in which to erect their envisioned design. 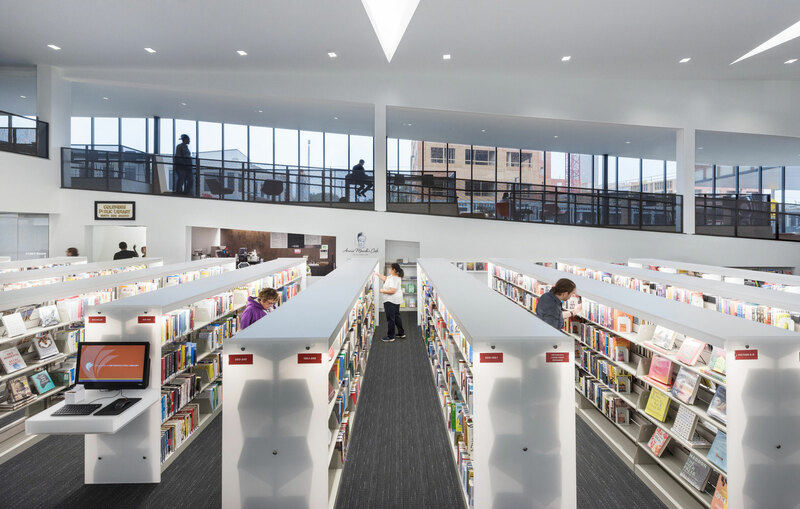 For library construction, as a public use facility, architects are treating these buildings as epicenters where people can meet and enjoy their love of reading. 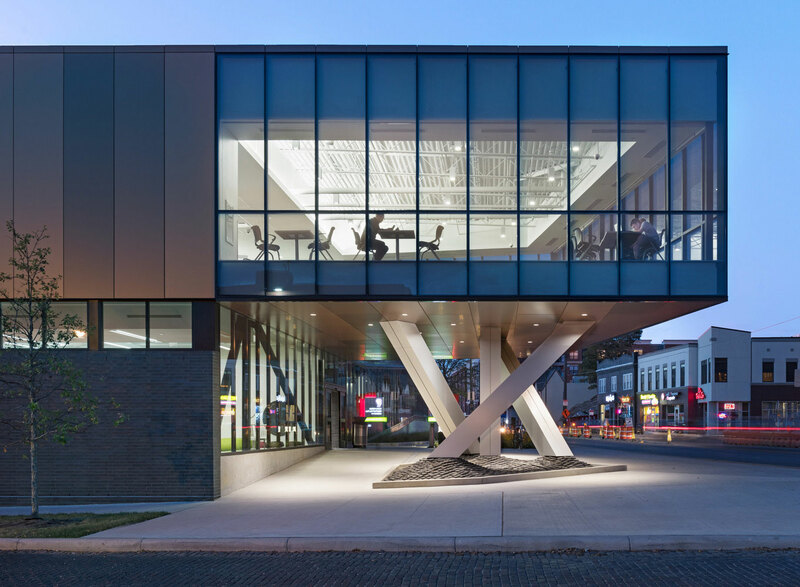 The Northside library in Columbus Ohio is a two-story facility with a strong emphasis on natural light. The mixture of glass and copper-like metal cladding create a modern building design. The copper-looking material is Alucobond PLUS aluminum composite material in various custom colors to mimic the rustic look of copper. The faux copper finishes capture natural light, creating a further dimensional exterior. The remaining glass portions of the façade create an inviting design where passersby can see the goings-on of the library from outside. From the inside, the library’s monolithic white interior is bright, making the books the star of the interior design. Again, the floor-to-ceiling glass creates unobstructed views to the outside. 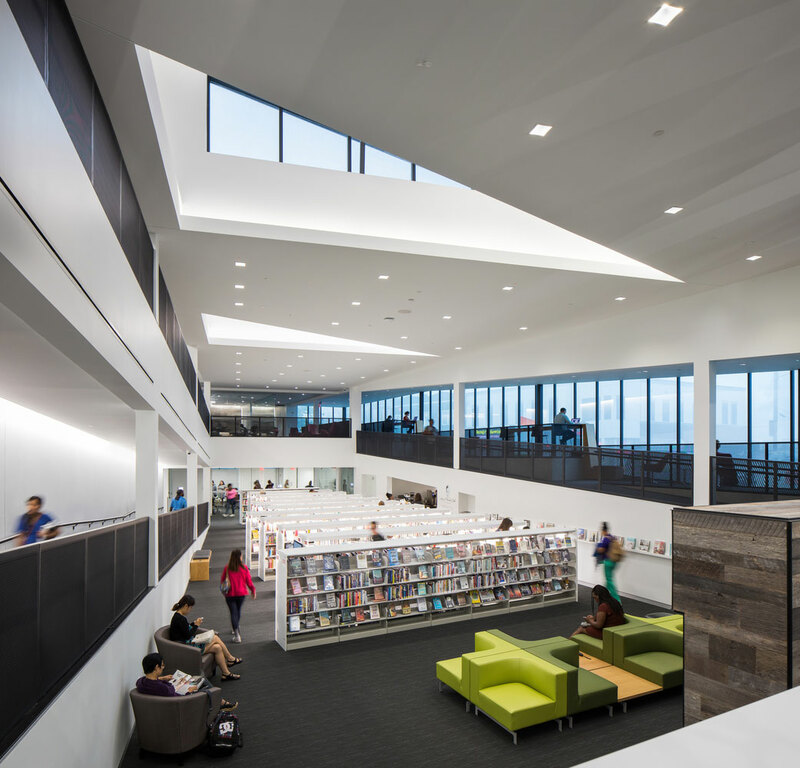 Additionally, the interior features colorful, communal seating arrangements where groups can meet in a more social atmosphere than in a traditional library setting. Libraries are important structures to a community. They house the voices of the past and present and their ability to engage a new generation of readers is vital. 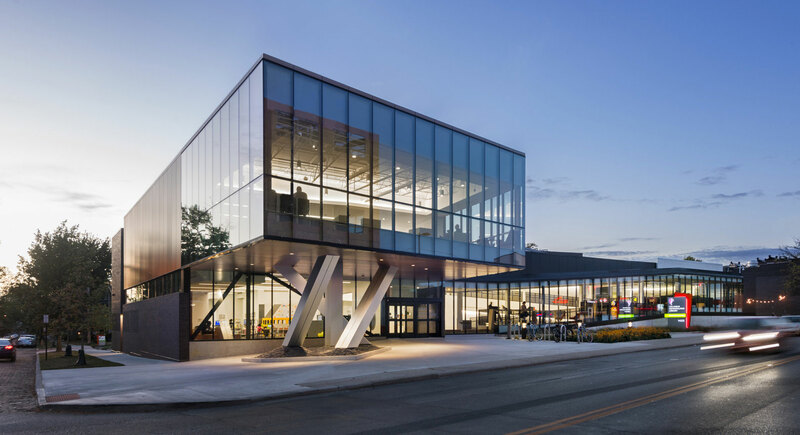 Architects have the unique opportunity to play an instrumental role in a library’s popularity as these buildings can be built like Northside, a beautiful and engaging community landmark.